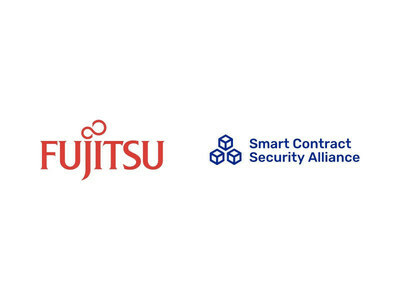 SAN FRANCISCO, March 20, 2019 /CNW/ -- The Smart Contract Security Alliance, a collaboration of industry leaders that recommend security standards and guidelines for the blockchain industry, adds Fujitsu R&D Center Co., Ltd. to its membership. Fujitsu R&D Center, a China-based Fujitsu group company, is the first research and development institution with independent legal status in China. Established in 1935, Fujitsu Limited is Japan's top IT services provider, and is also a leader in the development of Hyperledger. While enterprise companies are generally interested in blockchain applications, the lack of security standards has led many potential adopters to wait on the sidelines. Blockchain applications, such as smart contracts, offer great potential for copanies across numerous sectors because they can create efficiencies and solve problems that other technologies are unable to solve. It is crucial to tackle the security challenges standing in the way of blockchain's broader adoption through initiatives such as the Smart Contract Security Alliance.